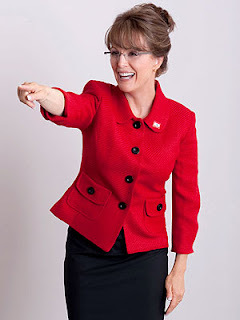 When I first head Julianne Moore was going to be playing Sarah Palin I was like, Whaaaat? But after seeing this picture I think it may be a success. Moore will be playing Palin in the HBO show Game Change which will be about the 2008 election. She just has to get the right amount of dumb and the accent and she will be good to go. What do you think? Good Palin? Bad Palin? Tina Fey will always be my fave.